It's hard to recall today, but being able to edit a document at the same time as others was a transformative feature for Google's suite of online office apps. That feature debuted a decade ago, though; these days, it's something most of us take probably take for granted. And as useful as real-time collaboration is in Docs and Sheets, it's not as organic as throwing ideas up on a physical whiteboard. 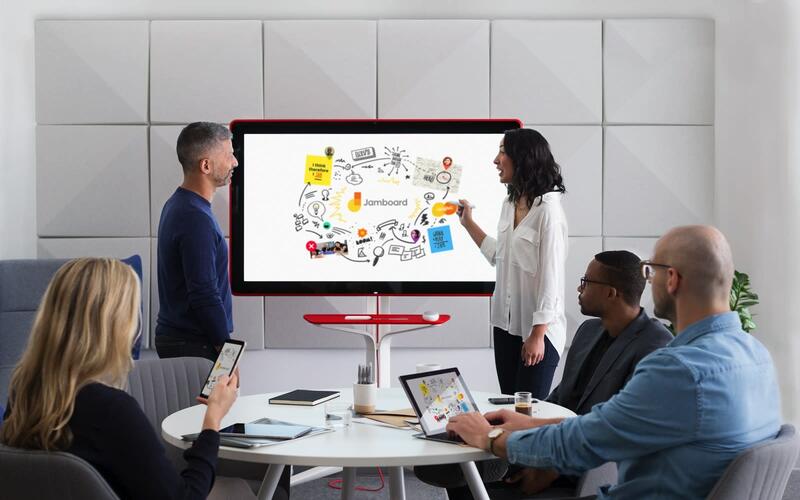 So, in a bid to evolve the way we work once again, Google is unveiling Jamboard, a cloud-connected digital whiteboard that lets teams collaborate together no matter where they are. At its core, Jamboard is basically just a 55-inch 4K display that you can use like a typical digital whiteboard. You can sketch out your ideas with a stylus for a small conference room full of coworkers. But what makes it quintessentially a Google product is its cloud connectivity. Whatever you draw on the device -- which the company calls your "jam" -- gets saved to your Drive folder automatically. You can pull in content from the web or other Google apps to buoy your ideas. The Jamboard itself basically looks like an oversized Nexus 10, right down to the thick bezels and the webcam above the screen. There's a small tray at the bottom for the passive stylus and eraser, right below the downward firing speakers. You can mount it to a wall, just like any other flatscreen TV, or you could opt for the stand that sits atop four large caster wheels, which makes it easy to move about your office. There are USB and HDMI ports along the side of the Jamboard (yes, you can use it as a standard 4K display), along with volume controls and an input select button right behind the bottom-right corner. In many ways, Jamboard is a physical extension of Google's office suite. 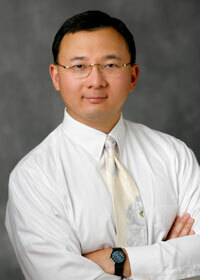 But it's also a way for the company to promote freeform brainstorming without tying users to specific apps. "From the beginning... we were putting people in sort of productivity boxes from the start, you had to choose right away, are you going to use Docs, a spreadsheet, or a slide deck," G Suite product director Jonathan Rochelle told Engadget. "We thought that might somehow limit creativity." Though the Jamboard's stylus looks like a fat crayon, it's capable of drawing lines up to a fine 1mm. There's also a round eraser that also helps to clear off smudges from the screen. 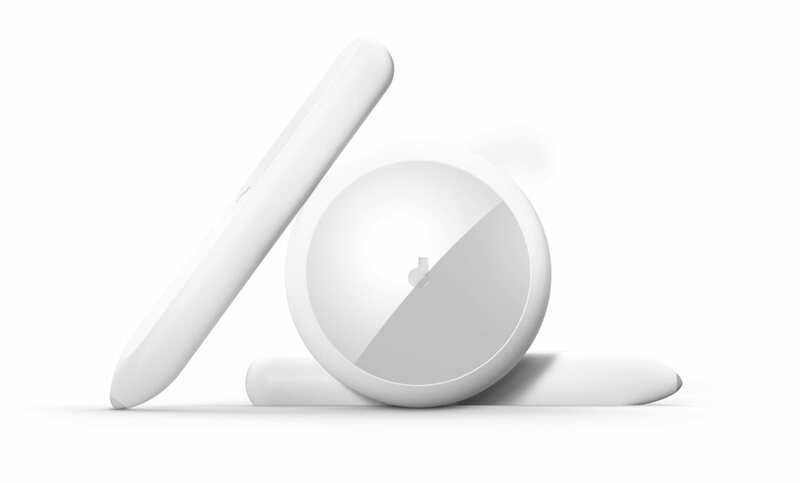 Both of those devices are passive, meaning you won't have to worry about battery life or even pairing them. Any stylus-like device will let you draw on the Jamboard, and, just like a real whiteboard, you can also use your finger to erase things as well. In my brief hands-on time with the device, I was impressed with the responsiveness of the stylus, which felt almost as fast as drawing on a real whiteboard. 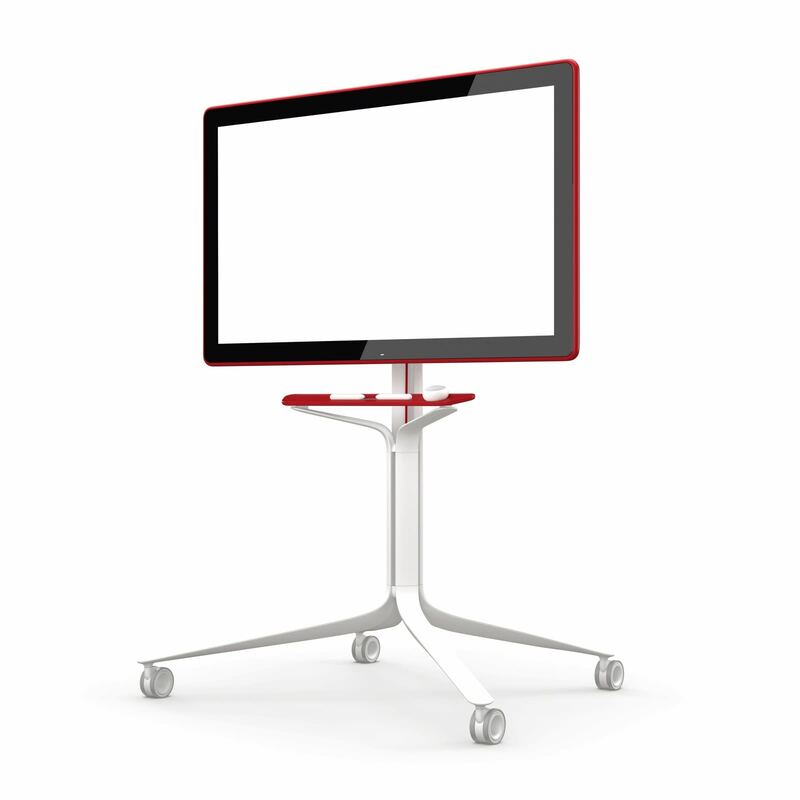 Jamboard is capable of detecting up to 16 touch points at once, so you and a few colleagues will be able to use the screen at once. Clearly, Google is targeting the same market as Microsoft's Surface Hub, but it could be even more appealing to companies already tied to Google's apps. Google plans to release Jamboard for under $6,000 in the first half of 2017 for G Suite customers. The company has already started testing the device out with big companies like Netflix, Spotify and Instrument, and is accepting signups for an early adopter program for companies who are eager to start jamming sooner.